My turn to host Delightful Dee at Books & Bits & Pieces' Wordless Sunday! I had many ideas when I first decided on the topic (based simply on the general course of our weekends). Though today's photo was not one that I had initially thought of... It reflects not only today but the whole week and was the difference between a tearful/happy day. Looking forward to seeing everyone's pictures! Smile 1: With no holiday programme at kindy for Anya and therefore nothing to bring home and show off everyday, we took to creating extra special pictures to show Daddy when he came home. We had great fun making black spotted panda-bears, cotton-wool sheep, houses out of shapes, fish-tanks with sparkly air bubbles and cars with moving wheels! Smile 2: And we've learned a new game to play together which the girls learned easily and quickly and we all enjoyed immensely! We have a few more that we'll be learning in time to come that should be fun. Smile 3: Potty training Heidi. We've been delaying this although she's been ready for months due to Liezel's impending arrival initially and then her newborn presence... we figured we had enough to deal with. She's more or less been going by herself on and off so we decided it was really time to get on with it. So on Friday it was bye bye daytime nappy and hello big girl knickers! So far so good and today she took herself to the toilet without needing to be reminded! 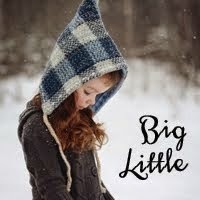 Yay for big little girls! - A great start to Heidi's potty training! - Learning and playing a new game with my big girls. - Anya's gorgeous butterfly face. And we came very close to adopting a dog from the SPCA this weekend... We even had three dogs that we decided would be nice additions to our family... But the Hubby thinks we should wait a little while - apparently we have enough dependents! Now I've got all this out - Wordless Sunday can Almost be Wordless! I need soup for my soul too. Life is always harder when you and everyone around you are sick and tired... but knowing that still doesn't make it easier to deal with. Tiny little things snowball and suddenly everything seems hopeless... have had a few such moments in the last few days. But we'll get there - in the meantime I'm watching my children, enjoying them wholeheartedly and continuing to work on the soup. - Another fun "homekindy" session that comprised little cutouts of fish "walking" on the table... because "fish don't swim mummy, they walk..."
- Liezel's little face lighting up every time she sees her sisters. I have two younger brothers. No sisters. I often wonder about the relationships between my 3 girls and how they will be. The only thing I can relate to is that of the eldest daughter... and that's about where it stops. Not the eldest SISTER, middle sister, little sister or one of three sisters. Looking forward to all the ups and many downs of this relationship arrangement! 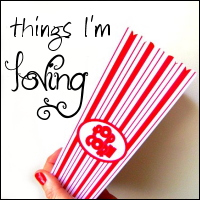 After a few days hiatus I'm returning to my bloggy. Down and out with sickness for a while now... as soon as we all thing we're almost at the end... Boom! On comes the next round even worse than before... Argh!!! Am over it!! Bugs bugs go AWAY! Am grateful for my lovely girls and how they survive these things though... they still burst with life and happiness but at a slightly slower and sensitive pace! - a wonderful birthday with many surprises, hubby home, dinner out and extra special presents. - Liezel finding her voice and chatting at high volumes for all to hear and take note! - A lovely surprise birthday lunch with close friends and family. - Anya telling me that she was going to come to do the grocery shopping with me: "Anya's coming with Mummy to go shopping...And I'm going to have a fluffie and a man (gingerbread man)...And I'm going to be a very very good girl for Mummy..." Irresistibly cute. - Making glittery cotton wool sheep pictures with the girls. Off to do some work now that's happily been neglected too! The warm sun, our model dog and phantom cat. - Nail painting with the girls - fun fun fun! - Visit to the pediatrician was full of smiles from Liezel and a good report from the doc! The last decade has been the biggest blur... So much has happened, so much has changed, so many life lessons learned, so many defining moments that have shaped me and created the person I am today. - My two big girls had their extra MMR vaccinations this morning - without a grimace, groan or cry! I'm really a very understanding person but I do not understand why you would not get your child immunised... Surely the benefits of immunising your children out-way the negatives? I got a little bit agitated as it seems somewhat irresponsible not to do it...and we've all only just recovered from colds and chest infections... Most of the kids at kindy will be immunised but most of them have little and/or baby siblings who are at risk, not to mention pregnant mothers... It's one of those things that has greater implications than just your child or family. I've consequently had to alert friends and family we've been in touch with since last week, who will in turn have to alert others they've been in touch with, and so on... I've also heard on the news that Auckland has a major outbreak of measles which means pretty much anyone not or not fully immunised yet may be risk. It is amazing how far-reaching it all becomes. Nothing is certain of course and in most cases it isn't a major illness. However, it's about managing the risk. For more info on Measles go here. I'd love to hear other mum's views on this topic. 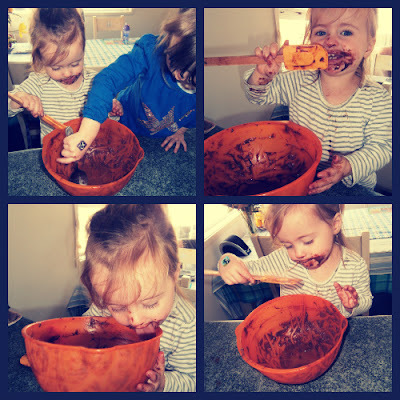 - Making our rocky road chockies with my big girls! 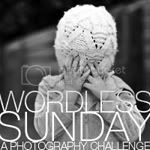 Linking up with Meghan for today's Wordless Sunday: Black & White. - Birthday clothes shopping with my bestie. - Playing Boardgames! (Puerto Rico, 7 Wonders, Zooloretto). Location: Titirangi, Aucland Unknown location. 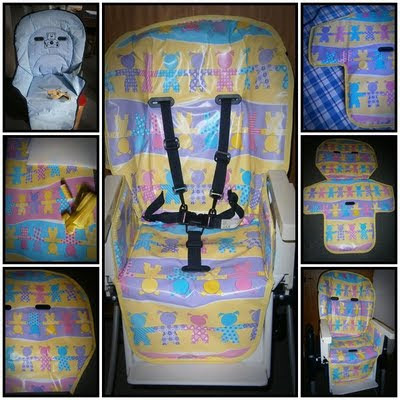 - I've completed my crafty project for July!!! Basically I cut the old one up into two sections, pulled what was left of them further apart and then used the originals as blue prints to cut out the new shapes. I replaced the old/non-existent foam with some new ones (two skinny layers glued together) and then cut to shape, allowing enough room around the edges for the binding. The machine really didn't like sewing through the foam (I had to do this twice where I had to cut wee holes for the straps to come through at the waist) so best to avoid that if you can by keeping it away from the edges. Then I just dotted some glue between vinyl and foam to hold it all together (and nearly fainted when the glue softened the vinyl and made wee marks on it... luckily only temporarily until it dried out fully...). I'd strongly recommend pinning the binding to the edges as much as you can... it looks like you could do it on the go (as working with that rather unbending and large object seemed like it would be simple) but alas... pin it - you'll save yourself a lot of frustration. Then add the bottom to the top and ta-da! I could go further and replace the straps with something in similar colours to the new cover, however the "clips" holding the cover to the seat on the back and bottom are still navy blue so... However, we'll see if the OCD in me wins in the next few months! Liezel still has a few months before needing to use it so there's time! Now I'll focus on my book and then work out some new goals! Tricky day for a highlight...not because it was a "bad" day, au contraire, it was a really lovely day all in all. We're all a bit sick (to varying degrees), but no major highs and really no lows... it was just nice! - I joined the Book club! Yay - always wanted to be part of a bookclub! - How Do Dinosaurs Say I Love You? Then sat at the table and fussed with your food. I love you, I love you, my dinosaur. You ran from the slide after slapping my hand. Oh I'll always love you, my dinosaur. I love you so much, little dinosaur. I'll love you forever, my dinosaur. Dinner was a disaster! You made such a mess! Did you stay up past bedtime? The answer was YES! That's when you give love, and I know this is true. 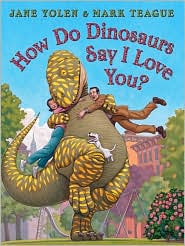 Because that's how a dinosaur says "I Love You!" There are many things you learn and experience once you have children. One thing in particular that astounded me was the unbelievably strong bond and unconditional love you feel for this tiny human. I realised that a person simply cannot imagine how a parent feels about their child and that it really is one of those things you cannot grasp or fully understand until you've been there and done that. Amazing how your whole view of the world and perception of things change once you have little dinosaurs. But boy it's hard to sit down in front of the pc and do something other than read blogs, or feel like reading a book, or getting on with the next project or ANYTHING else!! - Anya's response to: "Wow, that great colouring in Anya! Who's a clever girl?" --- "I am!" she said hiding her pleased little face and shy smile... Usually it's just a shy grin with "No I'm not!" - Arranging a shopping date with a friend! I really don't enjoy clothes shopping much for many reasons... but it will be fun going on an outing with a friend and expanding my current wearable wardrobe of one pair of jeans and two tops! And I've decided that on top of everything else I want to learn to crotchet! Might have to put that one off for a little while! 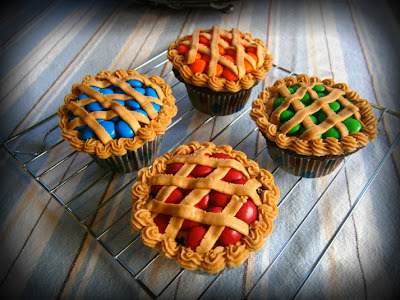 - Baking and creating the cupcakes! - Buying supplies at Spotlight for upcoming projects my "one metre please" almost finished a couple of rolls of fabric and I ended up with about 1.5 metres instead at no extra charge! Ka-ching! - Tall Caramel Macchiato with extra drizzle from Starbucks - delish! Game night tonight so that will be another highlight. Trying out a new one, possibly two! Fun fun fun! - The gorgeous yellow bouquet of flowers received as thanks from a friend - just beautiful.